Earlier this month, Bootlin engineer Alexandre Belloni posted a patch series (in its second version) adding initial support for Microsemi Ocelot SoCs, the VSC7513 and VSC7514. These SoCs are used for switches, so the biggest part of the chip is a switch fabric, built around a MIPS core and a few basic peripherals. 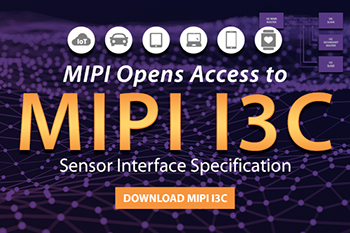 While Bootlin generally works on ARM platforms and has contributed support for numerous ARM processors in the Linux kernel, for this project we are contributing the support for a MIPS processor. A patch adding the core MIPS platform support, which is very simple because the platform is supported using Device Trees. 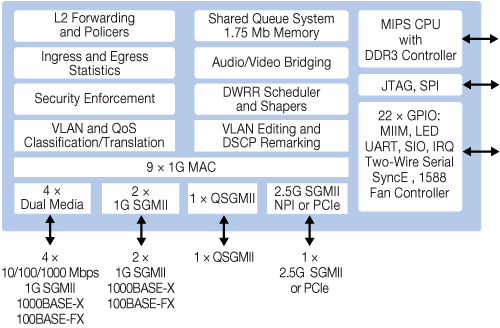 A Device Tree describing the SoC and a Device Tree describing one evaluation board. All in all, this patch series only adds support to boot the platform up to a shell, with interrupts, pin-muxing, GPIOs and UARTs enabled. Additional features will be contributed later, especially support for the switch fabric in the form of a switchdev driver. We are happy to be working on Microsemi platforms, and to bring the support for yet another hardware platform to the official Linux kernel.